I’m on my way to Vegas today, as the largest official Star Trek convention starts tomorrow! To continue the love of all things Starfleet and beyond, this week’s Stunning Style is appropriately Star Trek themed. Some of you might recognize that I’m wearing the Anovos replica of the Trek 11 uniform, and you’d be correct! This week’s outfit is all about cosplaying in plain sight while looking like you’re just rockin’ a cool, unusual outfit to the general public. 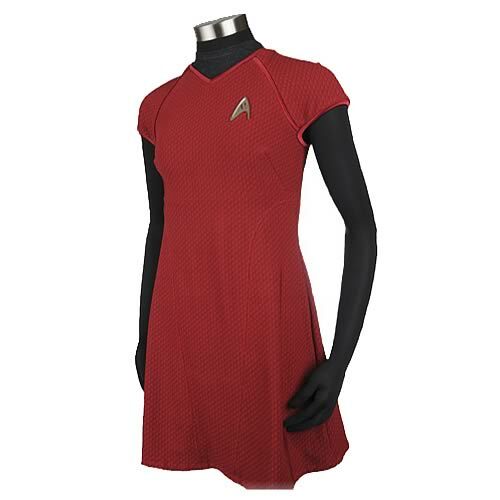 Officially licensed Anovos replica of the female Starfleet uniform worn in the 2009 Star Trek film. Made from jumbo spandex, this dress is incredibly flattering and comfortable. I love wearing it to conventions and then immediately going out to dinner, because it’s that rare costume that works for both situations! What’s great about a costume like this is how much it’s not like a costume. To most people it’s just a cute, trendy dress. Which, hey, it really is! This dress is still available for sale at Entertainment Earth. A huge part of what helps this dress transition out of the cosplay environment is the jacket. I picked this jacket up at Comic Con a few years ago. It’s actually a style of jacket I would normally never consider wearing, but it’s got just the right amount of funky style that really works with the rest of the outfit. A little bit punk, a little bit club, and a whole lot of spacey. It’s believed that the female “hero” boots worn in the movie were the DKNY Hyper Speed 2, which are sadly long since unavailable. 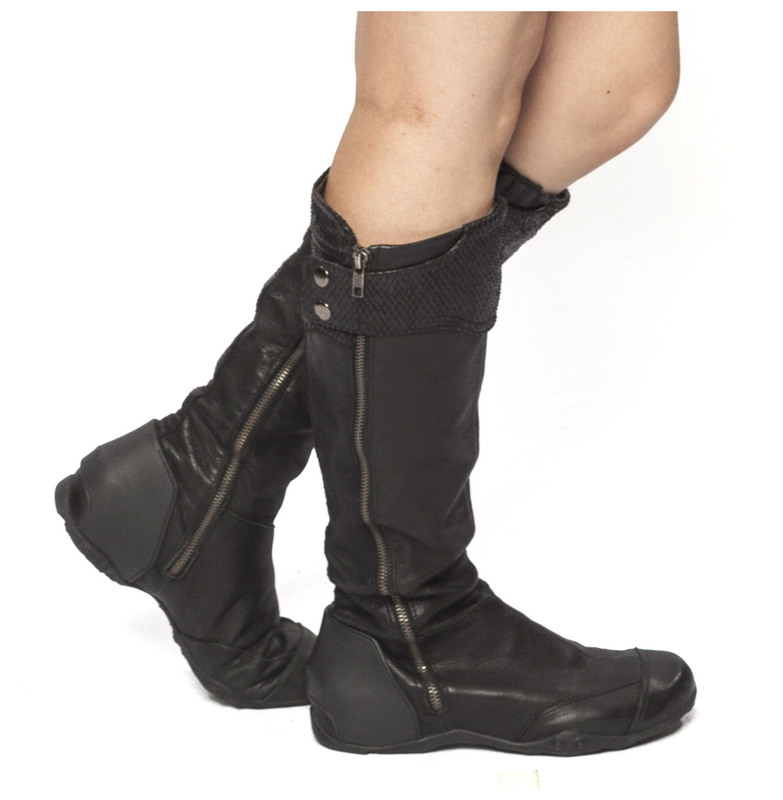 Most girls wanting to cosplay the Starfleet uniform settle for DKNY’s Dia or Alacantar boots as the next best choices. I snagged these pair of DKNY boots off eBay a few year ago. They’re part of the Hyper Speed line, and have a lot of similarities to the movie boot, but one of the differences is some faux snakeskin detailing. While this boot works great for my Starfleet costume, it works even better as a stylish and comfortable boot to wear out and about town. These boots remain one of my best cosplay purchases to date, and are easily one of the best things I’ve ever bought, period. They are beyond comfortable and work with so many outfits! I’m actually not wearing any accessories with this look, as the dress, jacket and boots are a pretty solid ensemble on their own. But, if I owned them, I absolutely would have paired the Alexis Bittar Small Pod Earrings with this look. 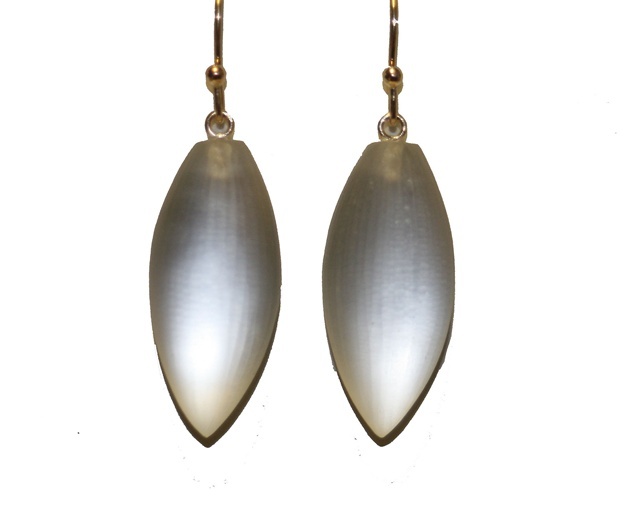 The Alexis Bittar Small Pod Earrings are the earrings worn by Uhura in the 2009 film. The color of her earrings changed depending on which outfit she was in, but she wore the silver color with her Starfleet uniform. These are a beautiful style of earrings that can make your Starfleet dress Uhura-screen-accurate, or add a touch of unique beauty to any other outfit. I’ll be on the lookout for fellow Trekkies in stylish outfits this week in Vegas, and hopefully will have some great looks to share next week when I return. I know this look might be a bit out of the box compared to some of our previous looks, but I hope it illustrated how endless the possibilities are when it comes to creating your own geek chic look. We’d love to see what outfits you’ve put together, so please contact us through the blog, or post up your photos on our Facebook Page! Oh this is brilliant! 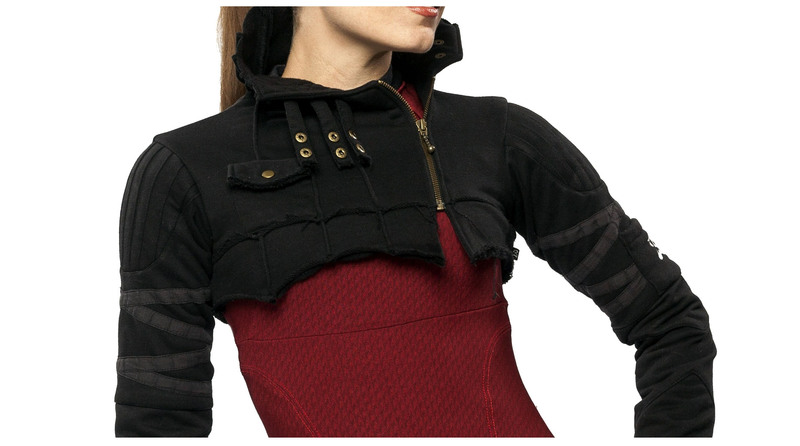 I am definitely going to put this in my inspiration folder for geeky everyday outfits. (Bit of a random question, how long is the dress? I have quite a long torso and seeing as how it’s a short dress, I’m a wee bit worried it might end up barely skimming my bum. I like showing my legs, but not that much!) I think River Tam boots would go well with this dress too. Uh oh, I’m combining fandoms! Glad you like it! The dresses actually have a longer hem but mine was tailored to be shorter to match how short they’re worn in the movie. There’s about an inch of seam allowance built into the hem if you want to make it longer.